COACHES for the GOTAFE Goulburn Valley League (GVL) are ready to take on the 2019 season, and the league will tackle the Western Region Football League in this year’s AFL Victoria Worksafe Community Championships, with a new senior coach at the helm. Following previous coach, Luke Morgan’s move to the Ovens & Murray FNL during the off-season, the league has much pleasure in announcing Brad Campbell as this year’s senior coach. Long time under 18 league coach, Jason Wells, has also recommitted to the league for this year’s campaign. League chairman, David Roff said, “We are delighted that two such high quality individuals have agreed to stay involved with our football interleague program. 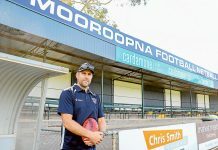 “Brad led the Shepparton Football Netball Club through a major rebuild before handing over to Sean Harrap, which culminated in a Bears flag in 2018. He was of great assistance to previous interleague coach, Luke Morgan, which saw us defeat Ballarat at the MCG in 2018. Brad Campbell said, “I’m really looking forward to building on the foundations of what Luke and the league have built in the past couple of years. The buy in and commitment from the playing group has been fantastic, which has transferred through to some really competitive performances on the field. This will again be a key focus in 2019. “We are all proud of the league we have and guarantee we will do all we can, both on and off the field, to give ourselves every opportunity to represent the league the best way possible. We have some very talented players to select from, of all ages and I’m looking forward to watching teams across the league in the early rounds of the season. “The coaching staff are extremely keen to be involved again and have thoroughly enjoyed working with the playing group. Some great additions to the team will be announced shortly. 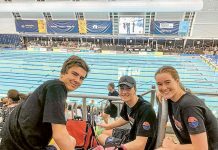 I would like to thank the league for the opportunity and look forward to the exciting challenge of seeing the Goulburn Valley League produce its best when it matters,” Campbell said. Campbell’s appointment continues a family tradition with his father, Des having played with and coached the league’s representative team in the past. Jason Wells said, “I really enjoy being involved in the interleague experience and look forward to again working with the league’s best under 18 footballers.